JTE was built for music, the son of Steve Earle and named after Townes Van Zandt, how could he not be? He's one of the best Americana songwriters out there today, and if you don't believe me, check out his Yuma EP or his latest full-album offering, Harlem River Blues. Anyhow, JTE recently won the Song of the Year Award, for the title track of said latest full album offering, from the American Music Association Awards. I'm glad to see him getting some recognition, besides battling his demons, the man can write a tune. Please, please, check out Harlem River Blues. If you don't like that song, don't bother reading any of my stuff ever again. Some people, uneducated musical people, are quick to dismiss the Beach Boys as pop fodder, as "Surfin' USA" and nothing more. Little do they realize that Brian Wilson is one of the truest genius' of music. Producers and mixers today can't do with 99 audio tracks what Wilson could do with 4, and that's the truth of it. Also the truth is that the Beach Boys Pet Sounds stands alongside Dylan's Blonde on Blonde and the Beatles Sgt. Peppers Lonely Hearts Club Band as not only the most influential rock albums of the 1960's, but the best and earliest examples of a rock/pop record and it's mixture of lyrical prowess, hooks, arrangements and especially the world that goes into the sound and mix as an art form int he truest sense. 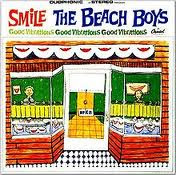 Then the legend begins, the Beach Boys went off to make their Pet Sounds follow-up, Smile, and it wasn't meant to be. The 1966-67 sessions were ultimately abandoned and thus Smile became the greatest unfinished rock album in history. In the years after it's been heavily bootlegged and some of the tracks ultimately showed up on other albums. The work that went into it is extraordinary and pure Brian Wilson: Just look as the song "Good Vibrations," which was worked on in studio for SEVEN months. People today are lazy and spoiled and don't realize the game changing work that song was for studio recording and mixing. Wilson was revolutionizing the usage of 4 and (then brand new) 8 track recorders and editing together numerous sessions from numerous versions. He split arrangements into sections, he produced backing tracks with session men as the band was out on tour, and in the days where mono was becoming increasingly unpopular to the stereo format, Wilson did most mixes in mono, which provides an artist with more sonic control over what the listener hears, despite of what type of sound system they may listen on. Stuff that is everyday today, Brian Wilson was doing when no one else was. 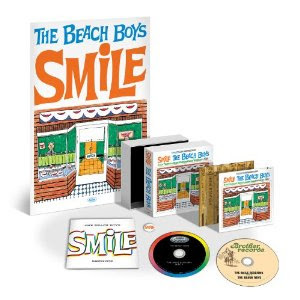 FINAL THOUGHTS: So here we are, the Beach Boys have reached their 50th anniversary and the holy grail of 60's rock n roll gets an official release. These sessions contain no new overdubbing or recording (ala the Rolling Stones on the Exile on Main St. re-release bonus tracks) and it's released in enough various packages to please a fan of any size or bank account. Pick it up, and thank me later. I was at a favorite record store mine on release day and one of the workers there, a sweet girl who'd never even thought to give the Beach Boys a chance, was loving it. 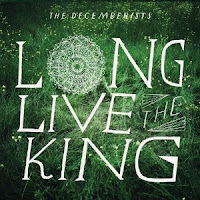 An EP coda of sorts for the Decemberists The King is Dead, released earlier this year, this 6-song EP is largely acoustic and keeps the Americana/appalachian sound and feeling of that earlier LP. There is a slight country tinge with some steel guitar on some tracks. Honestly, it's not going to make anyone forget how great this band once was. It's got some solid tracks (my favorites being the opener "E. Watson" and the more rocky home demo "I4U & U4Me," I also like the closing track, "Sonnet") but it's largely (a big word for a short release) a bit boring and repetitive. Not a bad release, it's decent and above average and you can't go wrong for $ or $8, but it's not making me clamoring for a new LP right now. This will be a lot of folks release of the week, and for good measure. Even though it's a bit over-produced at times (it's got that UK pop sound that will remind you of PJ Harvey or Kate Bush, it almost sounds like a UK U2 at times), it's a dark, brooding artist album that will certainly satisfy fans. 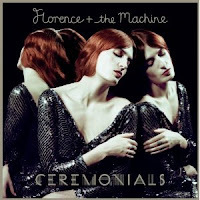 Florence Welch certainly has a voice, whether it's growling along or taking a foot off the pedal for a ballad or showing influence from Adele on a more Gospel tinged number. All in all, despite not being a fan of a lot of the production and sound, it'll please the fans big time. If you want to know just how far Lou Reed has fallen, listen to his cover of "Peggy Sue" on the recent Rave On Buddy Holly tribute. Off key, and seemingly out of his mind. Adding far past prime Metallica in the mix? Well, it just makes it worse. This is pure and simple, the TRASH of the WEEK. I hate saying that, because let's face it, Lou Reed is pretty cool. 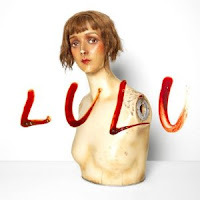 It's really an unbearable train wreck: the songs are too long, the spoken word style really gets old in that element, and doesn't mesh with the backing music or vocals - AT ALL. Well, that's it for this week friends. Between my new film, trip out of country and some upcoming work gigs, I don't know when I'll be back here on the 'Maus. But when I do return, you'll know it, I'm not sure why or how, but you will.